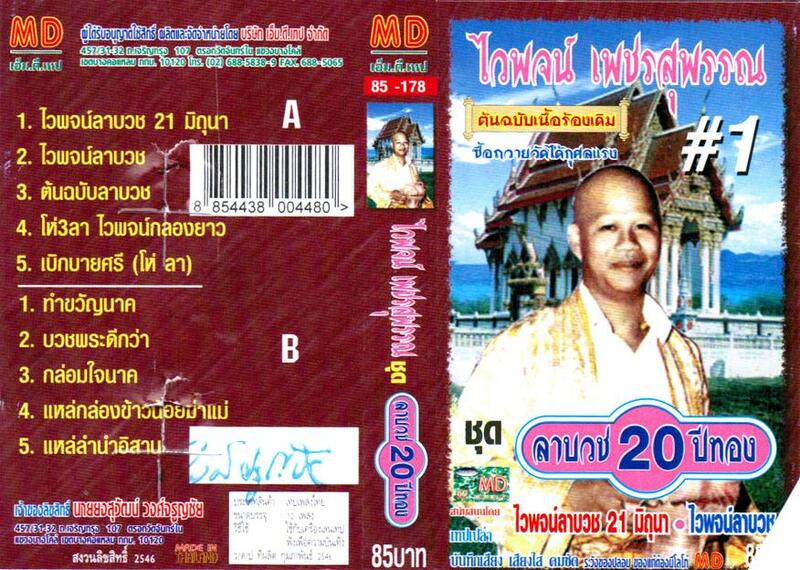 any fan of vintage thai music ought to know the word ton chabap... meaning "original", this is typically a sure sign that you'll be getting the old-school sounds you're after, not re-performed or adulterated with new bass lines, drum machines or so on. except in this instance. i was probably too excited by waiphot's fancy robe & bald pate that i didn't read closely enough, as it turns out the cover (rather honestly) advertises "original lyrics" only! but the biggest surprise of all? i don't mind in the least. that's because on this time the new sounds come courtesy of a full isan music combo... that means electric phin shredding, classic northeastern bass & liberal use of cowbell. as far as i knew waiphot had never performed in this style, so enjoy this rare look into his classic lae tracks, isan-ified! Thank you so much for this and the blog as a whole. 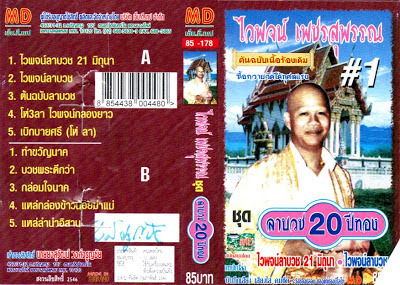 I'd been looking for luk thung and luk krung music for quite a while but couldn't find anything anywhere, so this is just a goldmine for me. Bookmarked it!